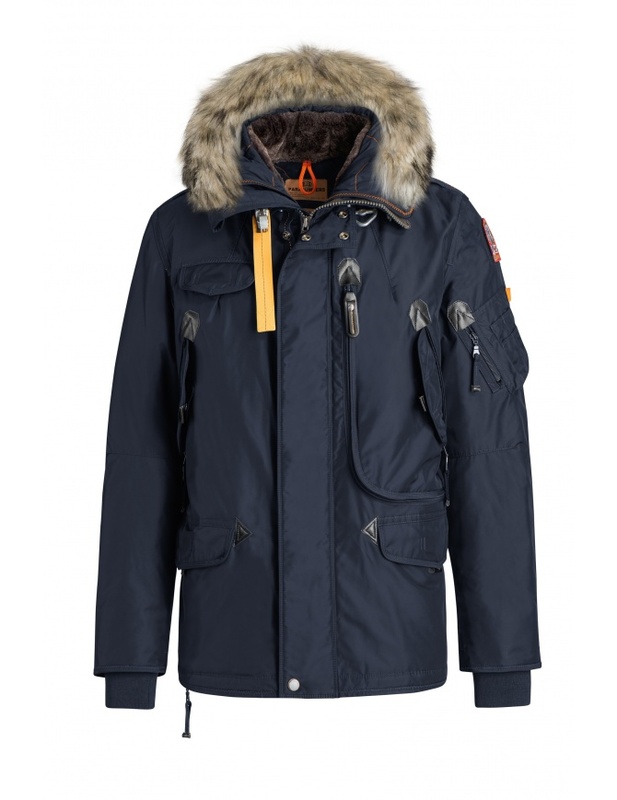 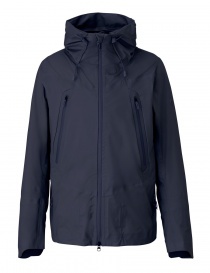 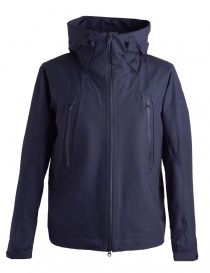 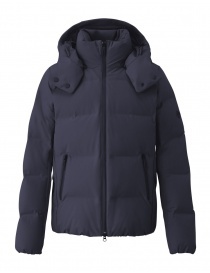 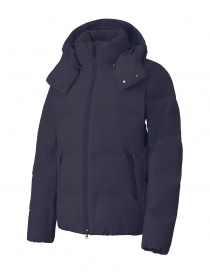 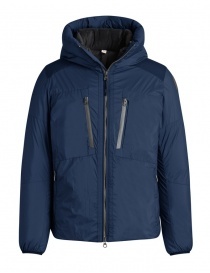 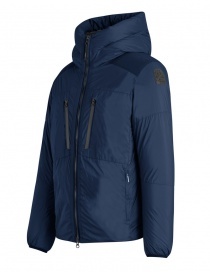 Men's Parajumpers multi-pocket navy dark blue jacket, Right Hand model. 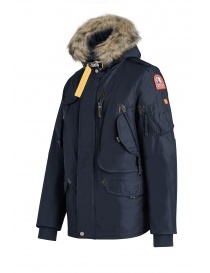 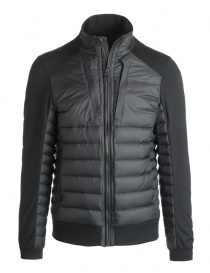 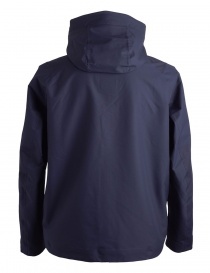 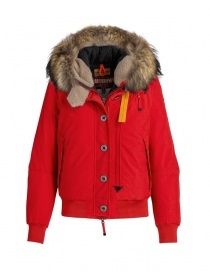 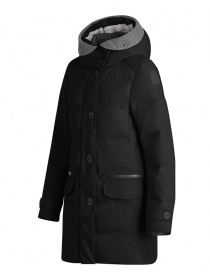 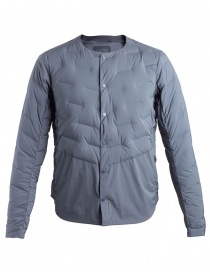 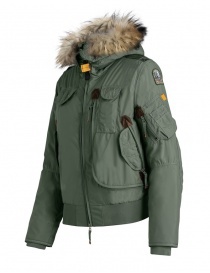 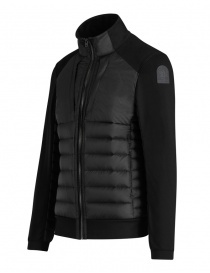 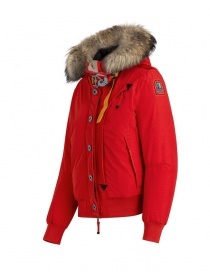 Highly waterproof, breathable and very warm, suitable for harsher winters. 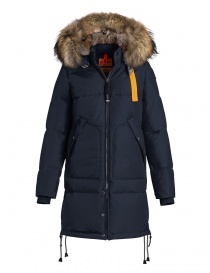 Stuffed for 90% of down and 10% of feathers, it is noted for the short hood, detachable and adorned with real coyote hair. 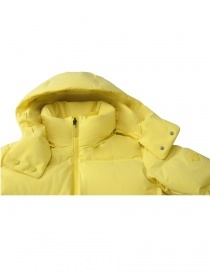 The closure of the hood is regulated by the iconic PJS yellow-grain webbing with mountain hook. 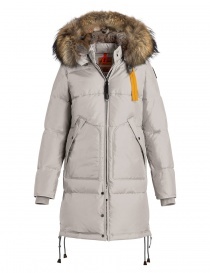 The collar is internally lined with sheepskin. 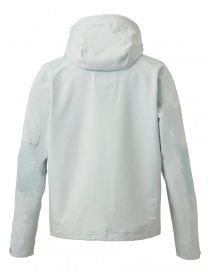 Among the numerous external and internal pockets with zip and/or snap buttons closure, the PJS Right Hand model is characterized by a large cargo pocket with zipper, extended to L for three quarters of the front left side up to the back side, where it can be further fastened by means of a yellow elastic webbing with a snap button. 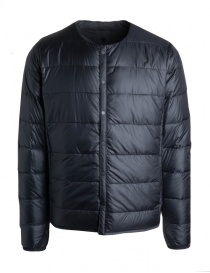 In addition to two handwarmer side pockets, there are two more underneath, deep and square, covered with triangular flaps closed with a hidden pressure button. 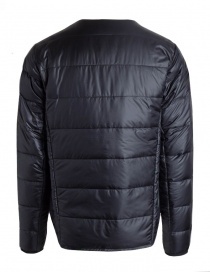 The cuffs are made of elastic ribbed fabric. 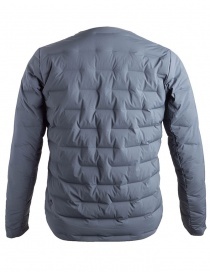 Double outer cover in polyamide under the forearms, with a convenient velcro closure, also useful as pockets. 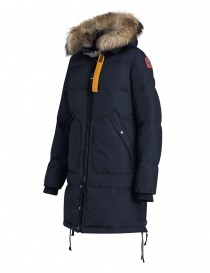 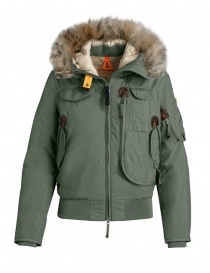 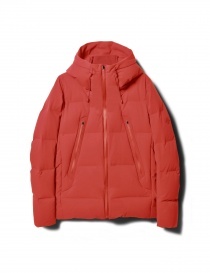 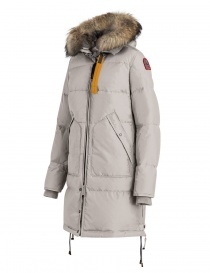 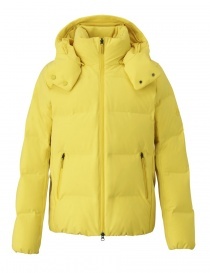 The closure of the jacket is double and concealed: in addition to the two-sliders zipper, the jacket can be closed with a row of metal press buttons, hidden by a flap. 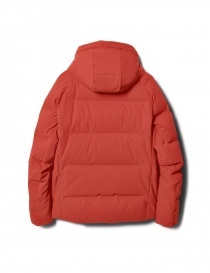 On the left shoulder: PJS patch and zipped pocket and double applied mini-pockets. On the back right side of the jacket a split with zip allows to open it on the bottom and widen the margins of comfort. 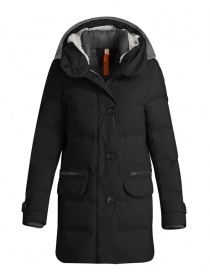 On the back, under the lining, two laces adjust the waist circumference. 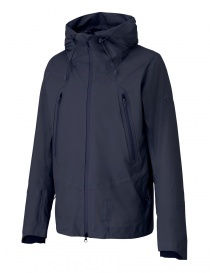 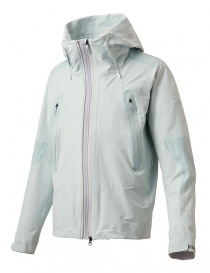 Under the hood, behind the shoulders, nylon hook hang jacket.